How can you ever describe the love you feel for your own children? It is impossible to really describe in any satisfactory way. Yet the love we feel is so important. It is why we do what we do and it is what keeps us hanging in there through the tougher times. In some ways it is easier to talk about challenges. Maybe it is that we are more accepting of pleasure than pain. When things are tough we think about it, question it and ourselves. However, we don’t often stop to analyse moments of happiness. We tend to accept them. When we find something so funny that we laugh so hard that our eyes water, we don’t stop to question why we are laughing. We let ourselves be in the moment, accepting it. So back to that all powerful ‘love’ that we feel for our children. There are no words that seem good enough to do it justice. The sheer joy I feel when I am with my son is unrivalled. So many times in the day I wish I could capture the moment and be in it forever. I find myself prolonging these times of pure joy and resentful of time rolling on and the need to continue with the day. I am in love with my son. He smiles and my heart lifts. It is amazing to feel the way we do for our children. There is an understanding deep within us that it is a love like no other. The unconditional nature of it is so apparent. They can make our life a misery but we will still love them. We might not be enjoying it and we might really dislike them at times but that love is always there. I honestly never knew that having a child could be so much pleasure. I am constantly surprised by the joy that I feel as I share life with my son. It goes without saying that only a short while ago I was too tired and getting irritable with it all. Becoming a parent can be like joining a club where only other parents know how you feel. They know the love (and the despair) that parenting evokes in us. Likewise, for me and many other women I have spoken to, becoming a mother helped us understand our own parents more than we had ever done. The intensity of feeling that we never knew was possible, all of a sudden made sense to many of the things our parents did and said. To some though, their parents became less understandable. The experience of intense love for their babies puts into stark contrast the lack of care and love they received in their own childhood. 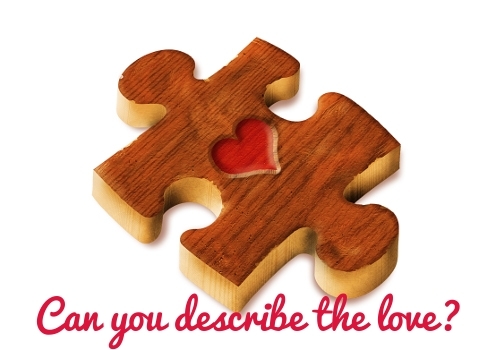 Can you describe the love you feel for your children? Do the words really do it justice? I would love to hear from you.